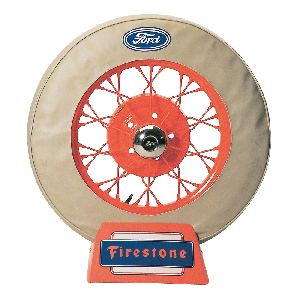 Many Ford Model A restorers prefer a tire cover to the bare tire and wheel assembly in the spare mount. 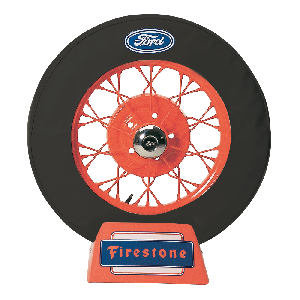 Choose from 19 " and 21 " size covers with or without the classic Ford blue oval logo. 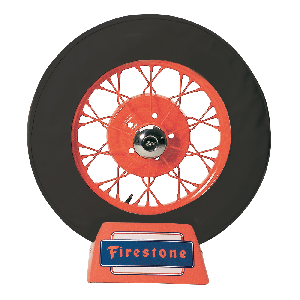 We also offer a variety of tire stands with various vintage automobile and tire designs. 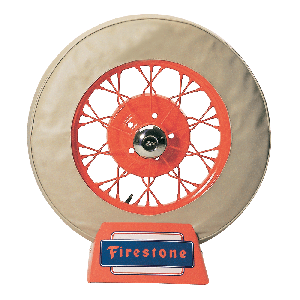 The tire displays are excellent compliments to collections and museums where tires and wheels might be on display or need to be stored standing up.